This type of film was developed in the early 1900s, reaching a peak with consumers in the 1930s. 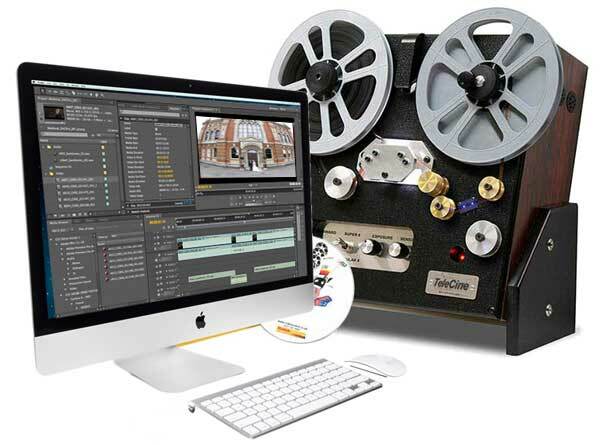 Thanks to the huge leaps in scanning technology over the last 10 years, we can bring your our highest quality 9.5 cine transfers at our cheapest ever prices. 9.5mm cine film transfer system. Instead of encoded DVDs for watching on your TV system, you can choose to have digital files for home computer editing. We can produce AVI, .MOV, MP4, Quicktime etc. 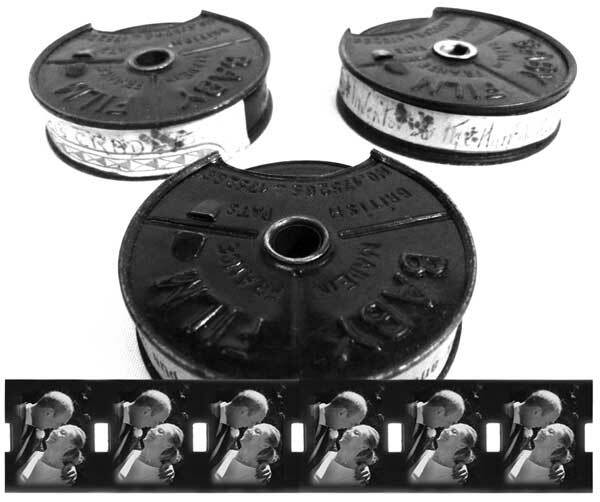 9.5mm cine film is very easy to identify as it has sprocket holes in between every frame which are in the centre of the film. Another clue to the identification of the film is that it measures 9.5mm across. Brand names include Pathé, Pathéscope and Pathex. 9.5mm cine transfer start at just £25 per reel. 9.5mm films are normally done within two weeks. However, if you have a deadline, please let us know - we know we can beat it. For full details of 9.5mm cine cost download our PDF price guide. We are part of the Kodak Express group specialising in Video Tape and Cine film transfer to DVD. We have studios on Camden High Street, London were all work is done onsite. Callers are welcome and Mail Order customers can shop online with us with complete peace of mind..
On occasion, cine film comes in smelling of vinegar - Vinegar Syndrome, or may be badly affected with mould and mildew. If this happens, we will contact you to discuss the options.